4k00:09Golden Dome of the Rock and Western Wall in Jerusalem zoom out shot. 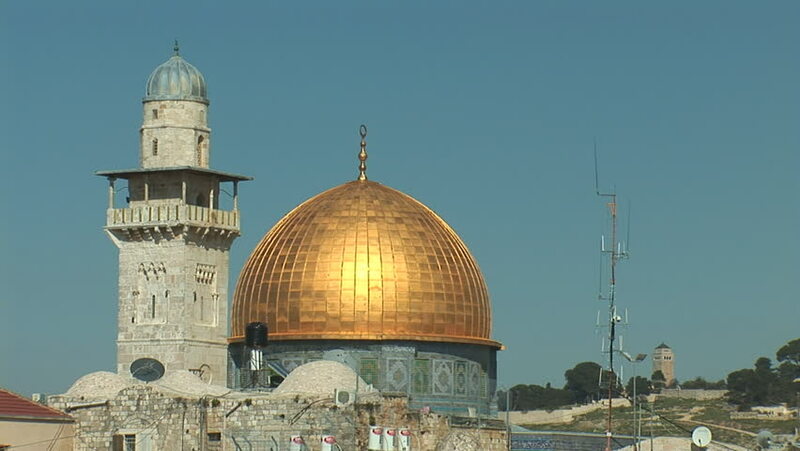 Dome of the Rock is located on the top of the Temple Mount in Jerusalem, Israel. 4k00:10Taj Mahal dome and minarets on the background of blue sky; UNESCO World heritage site in Agra, India. hd00:21ISTANBUL, TURKEY 2012 The Blue Mosque in Istanbul, Turkey.